Paul Jorgensen looks for an open move during Butler’s 70-55 win over Brown on Dec. 5. Jorgensen led Butler with 19 points in the game. Photo by Jimmy Lafakis. 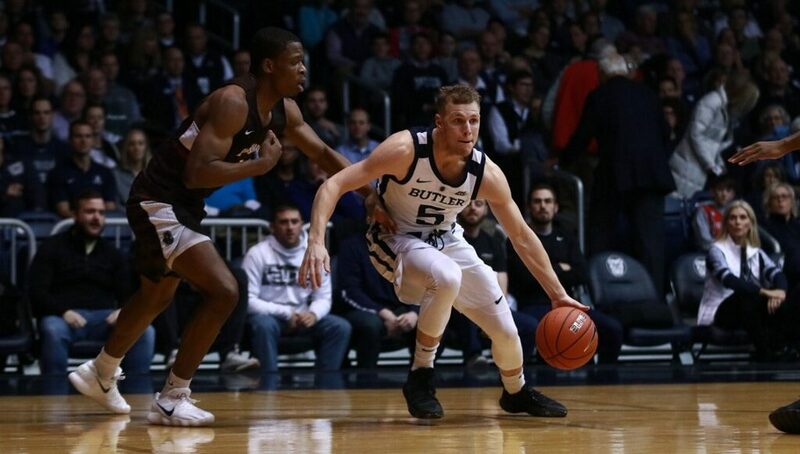 The Butler men’s basketball team bounced back from their road loss to Saint Louis, defeating Brown 70-55 at Hinkle Fieldhouse on Dec. 5 to move to 6-2 on the season. Here’s a quick look at five key quotes from after the game.